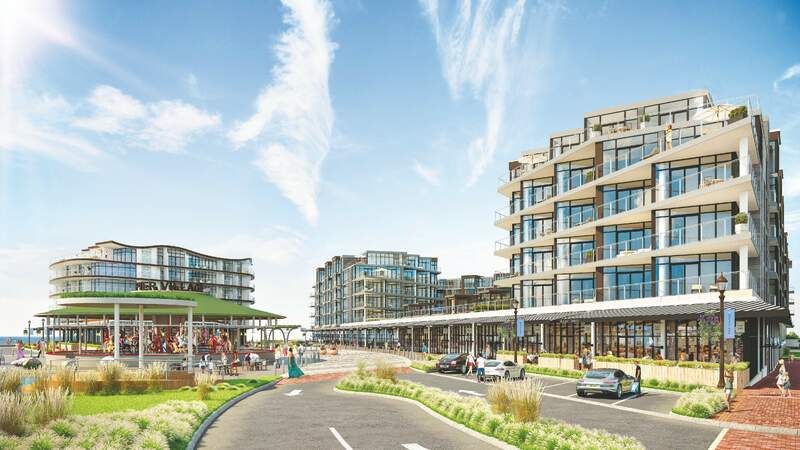 The firms said they intend to add 269 condo units — The Lofts at Pier Village — plus a boutique hotel and an additional 40,000 square feet of retail space. The firms also announced the addition of new retailers to the existing space. Extell and Kushner announced Beach House, a Mediterranean, organic restaurant, has joined Pier Village. Luke’s Lobster also will open its first location in New Jersey at Pier Village. Lululemon, Havainas, Les Canebiers, Sundaze, Booskerdoo Coffee & Baking Co., Coney Waffle, Playa Bowls, Fin Raw Bar & Kitchen, and Faustini Wines have also been announced as coming to the property. Shore Point Architecture and the Childs Dreyfus Group have been selected to carry out the construction of The Lofts at Pier Village. Kushner and Extell selected Minno Wasko and Hirsch Bedner Associates to carry out the construction of the hotel. Melillo + Bauer Associates has been selected as the landscape architect firm for both the lofts and hotel. Construction is slated to begin in the fall. Kushner and Extell said the sales office for the condominiums will open this month.